My Spring Break may be over but I know some of you are just gearing up to start yours! 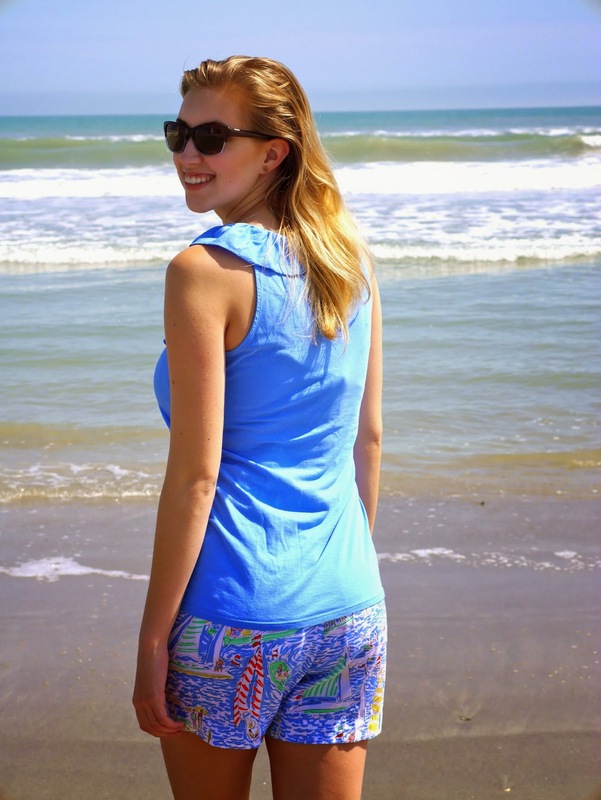 If you're headed to the beach then this post is for you! The beach is the absolute best place to spend spring break (or really any break you can get!) in my opinion. 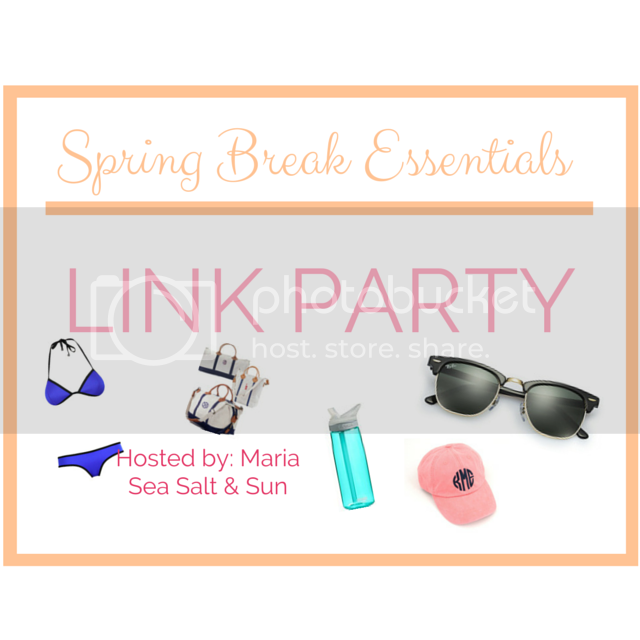 So I wanted to share a few of my spring break beach essentials with you to make your spring break the best one yet! First things first - SPF! I think there have been enough articles in Glamour and Seventeen now preaching the importance of SPF so I am not going to lecture you on that one. We all like to come back from spring break with a little color but you don't want to risk your health to do so! I like to use SPF 30 or so on my upper body and a lower SPF on my legs so they can get tan. Then I use SPF 70 on my face and wear a hat and keep my head in the shade when I lay out. I do NOT like any rays of the sun touching my face! I usually wear some SPF on my face every day. The preppy trend for shoes is of course Jack Rogers, which I love and own several pairs of! However I can NOT wear mine to the beach! I do not want to subject them to sand so I usually go with some $3 Old Navy filp flops, either way find some cute pairs below! As far as a beach cover up goes, I just wear a simple cotton dress. No idea if it is really a cover up or not! But it works for me! Now of course your beach bag has to be chic! I love my giant straw bag from Target, canvas bag from Pink, and Lilly Pulitzer tote bag. I kind of just pick whichever one suits me that day, similar below. My bag is usually loaded up with extra sunscreen and a HUGE towel! I like to extra large beach towels so I can sprawl out ;) Other fun things I usually bring are a magazine or book, mini speaker for my phone, and a BIG 'ole cup of water! Gotta stay hydrated! How cute is that glitter Kate Spade bottle?! Let me know what you're doing for Spring Break and check out my other spring break posts!